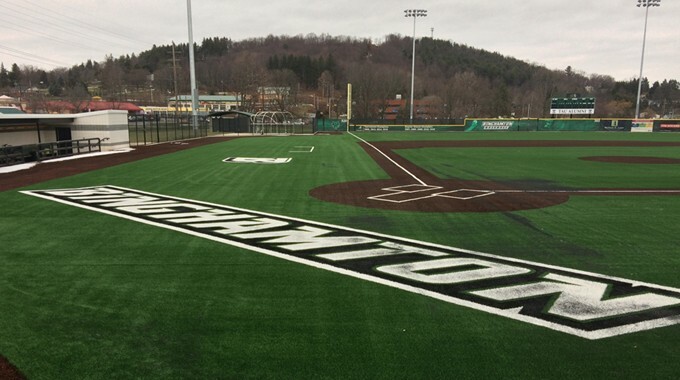 Binghamton University – Target Technologies International Inc.
Binghamton University has a new state-of-the-art field for their Bearcats baseball team. This premier $2.2 million renovation boasts a vibrant green outfield with a contrasting dark brown infield, new wordmarks and 8 banks of lights. The Bearcats have won the America East championship three times in the last four years. Congratulations! We are pleased to have provided our high-quality infill sand for this project.